One Another is a two-part sculpture created for the vitrine and the lobby of YYZ Artists’ Outlet. What choice could be more obvious – and apparently meaningless – than to place a storefront mannequin in a vitrine? And what does that object become when transferred from the usual storefront window to the vitrine of an art gallery? 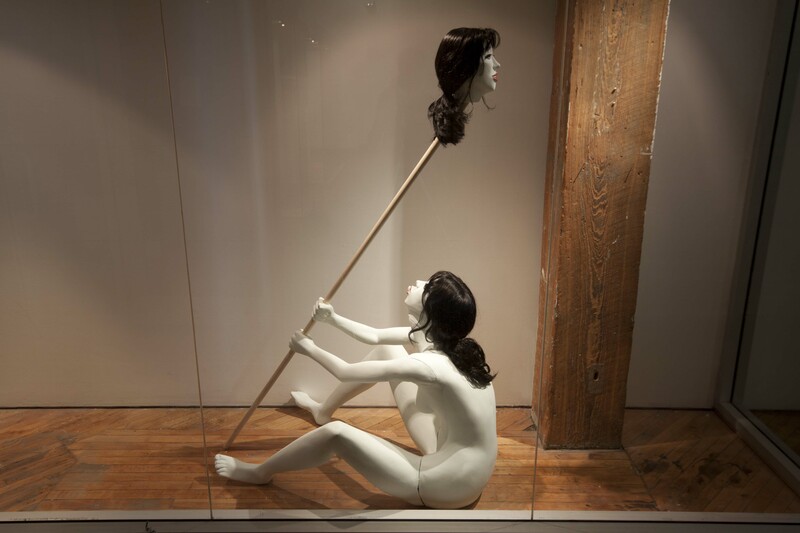 Stphanie Chabot’s deviant version of the mannequin deals with issues that are inherent to the familiar object: the manufacturing of better bodies, the morbid desire related to self-duplication, the strange force of the uncanny. In One Another, these issues expand and exceed themselves creating delirious new roles and perspectives for the large-scale doll. STPHANIE CHABOT is a multi disciplinary artist that works primarily in painting, sculpture and installation. She received her Masters Degree from York University in 2008. Chabot’s work has been shown in many Canadian artist run centers including La Centrale Gallery Powerhouse and Clark Gallery in Montral. 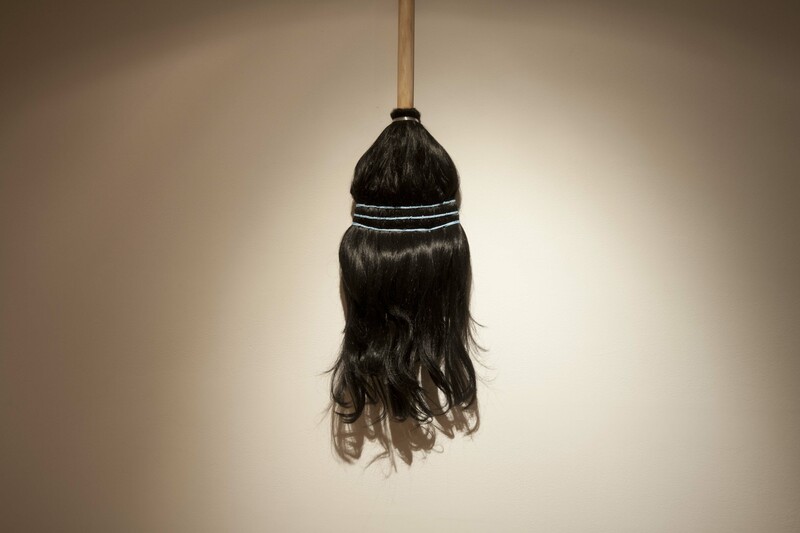 Her work has also been presented in the United States, Spain (Sala Riekalde, Bilbao), England (Sassoon Gallery, London) and in Australia (H-Block Gallery, Brisbane). She is a member of the curatorial collective L’Araigne, and has been involved at La Centrale Gallery Powerhouse as both a member of the selection committee (2008- 2011), and the interim artistic coordinator (2010). Chabot currently lives and works in Montral. Special thanks to Pierre Terzian, Yam Lau, Kristi Ropoleski, and Nomi McComber. Read STPHANIE BERTRAND‘S The false prophecies of the false idols in the flesh, an essay about STPHANIE CHABOT‘S exhibition.